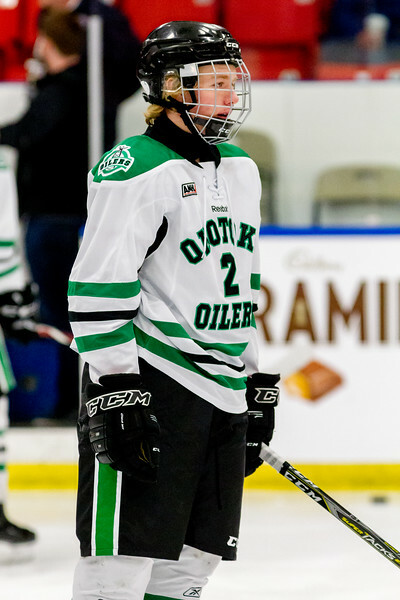 Dec 27 - Game 15 - Okotoks Bow Mark Oilers vs New York Jr Islanders. 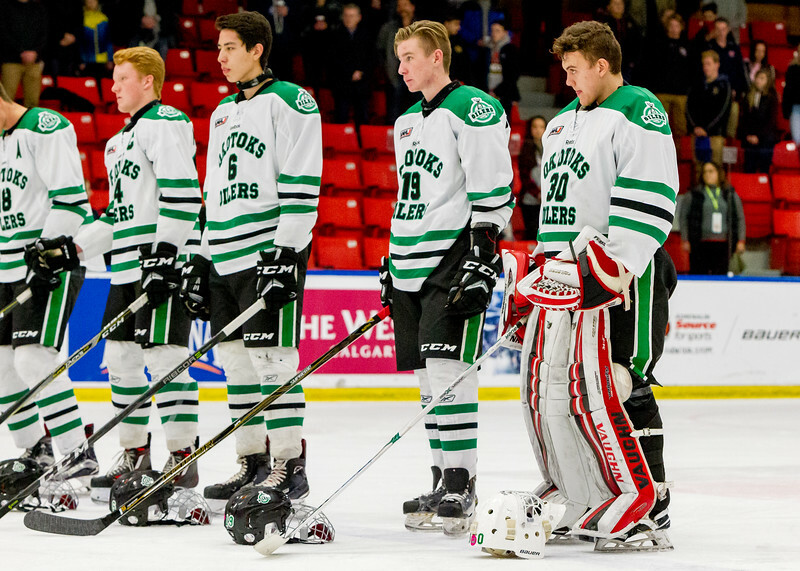 December 27, 2017 - Calgary, AB - 2017-2018 Mac's AAA Midget Hockey Tournament - Max Bell Centre Arenas. 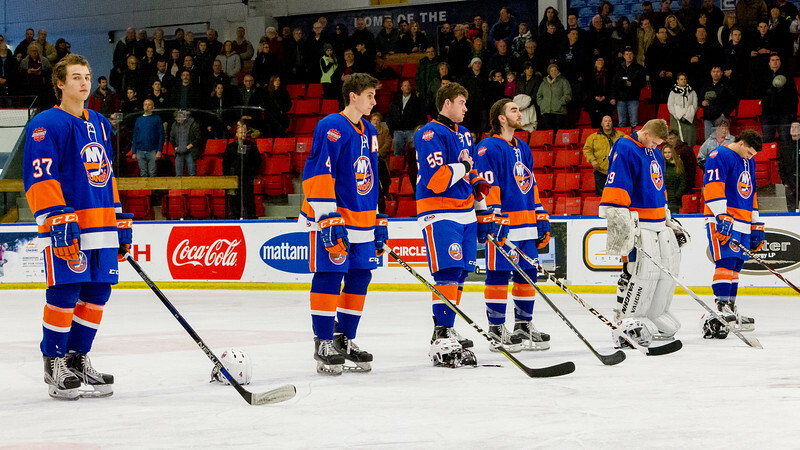 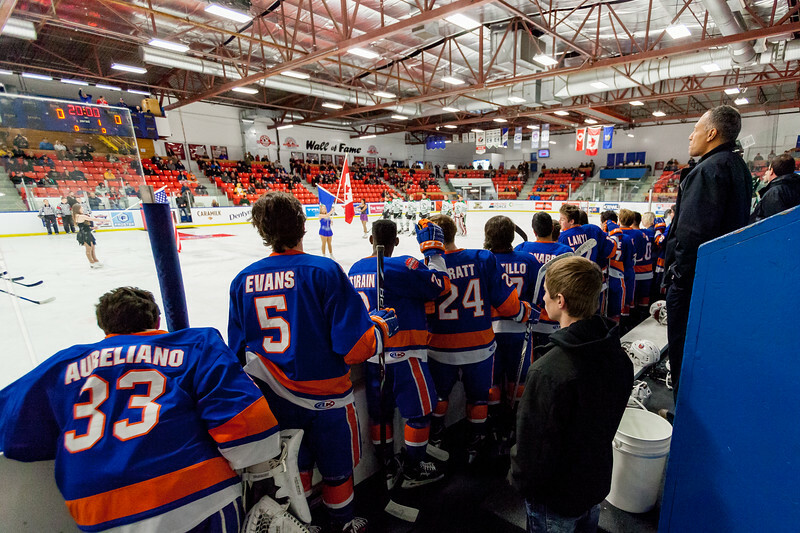 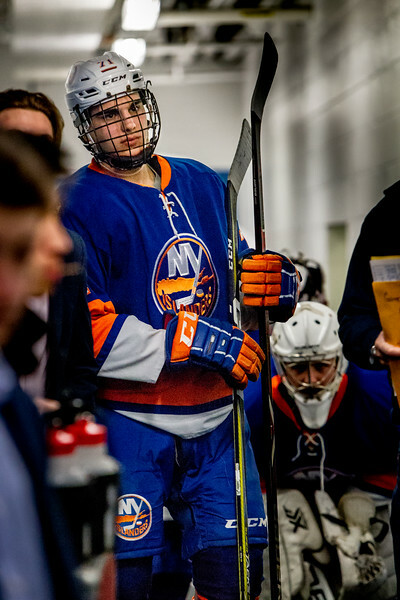 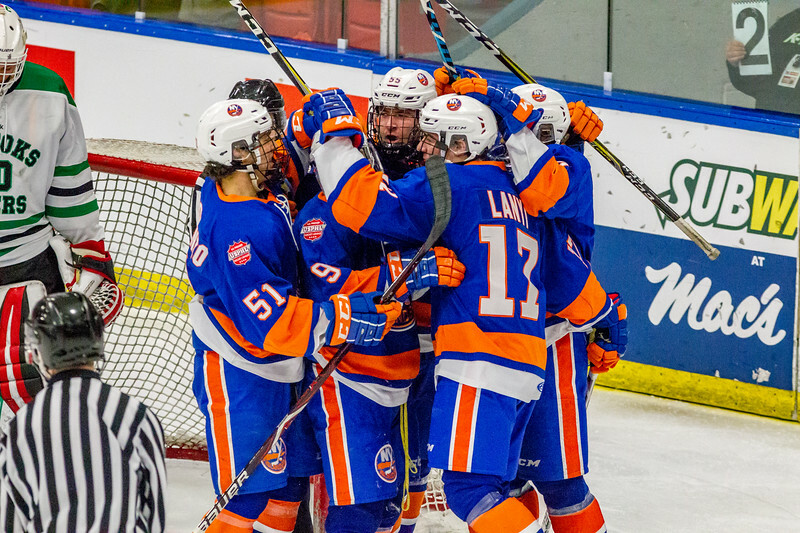 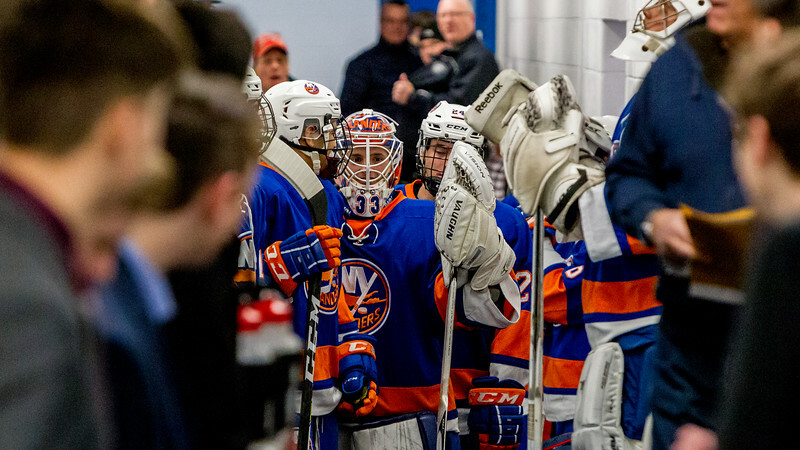 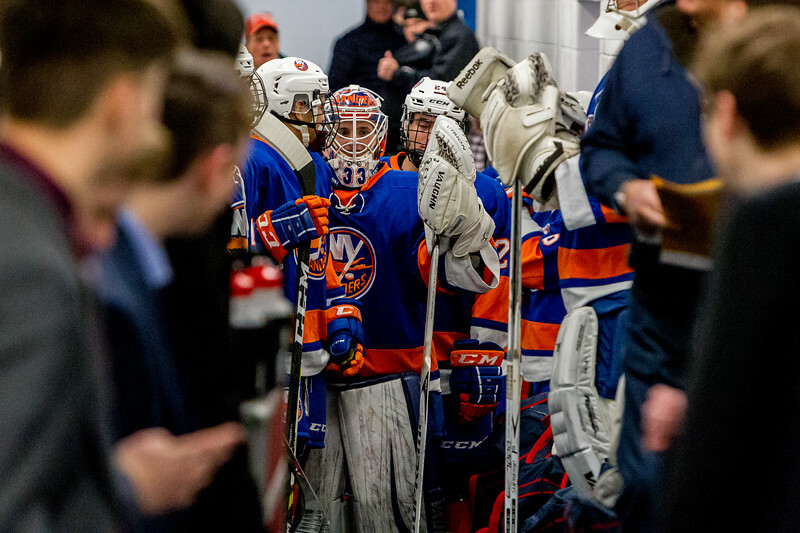 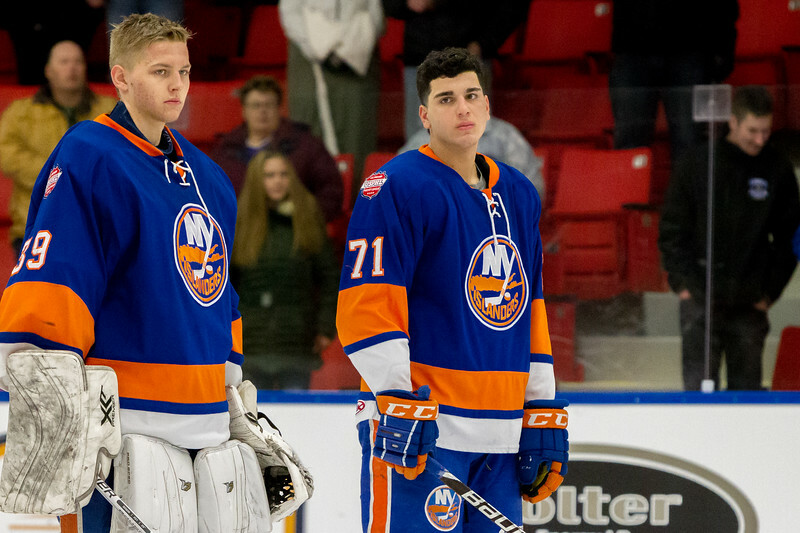 The New York Jr. Islanders before their game against the Okotoks Oilers. 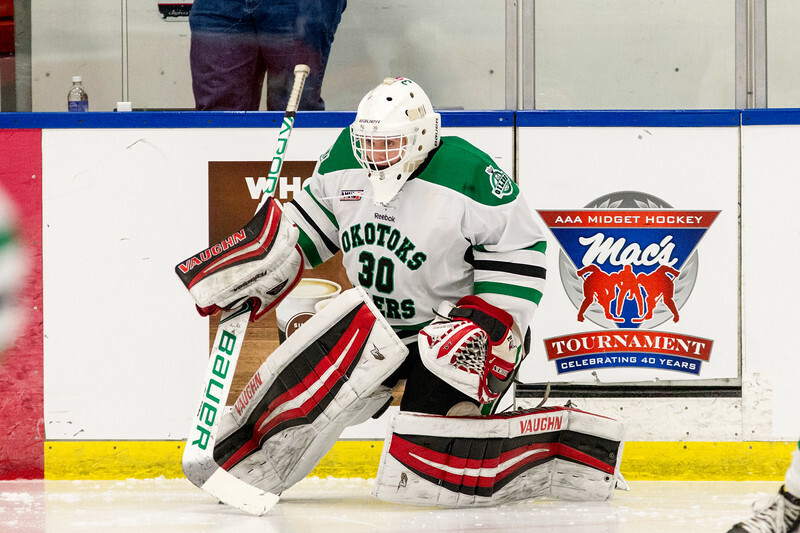 December 27, 2017 - Calgary, AB - 2017-2018 Mac's AAA Midget Hockey Tournament - Max Bell Centre Arenas. 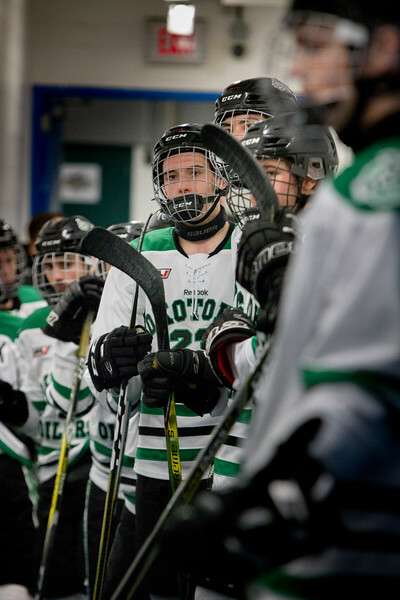 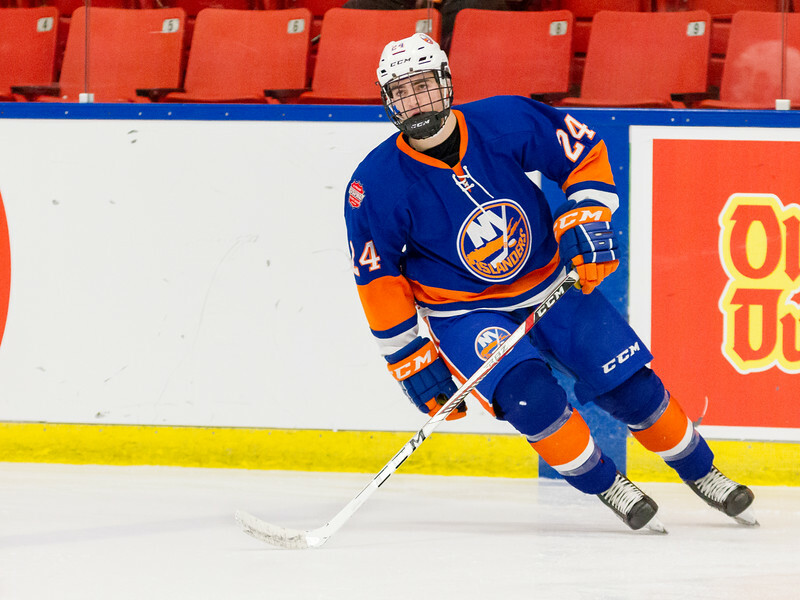 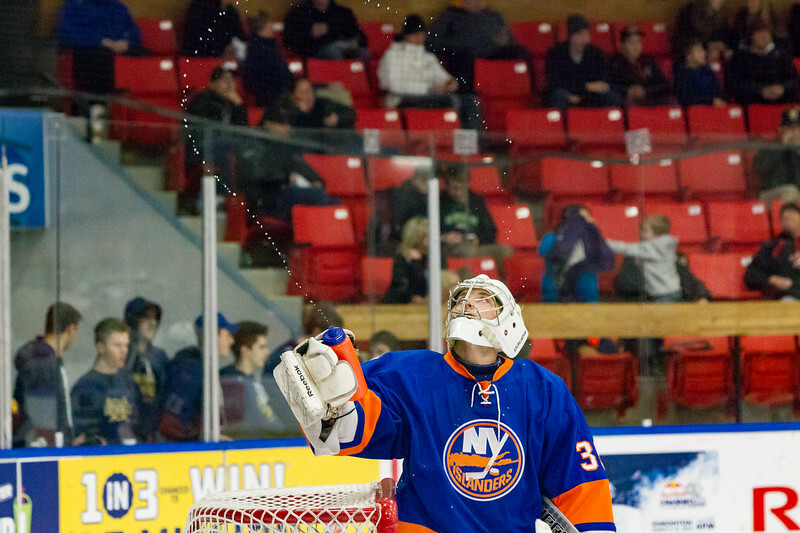 The Okotoks Oilers vs. the New York Jr. Islanders. 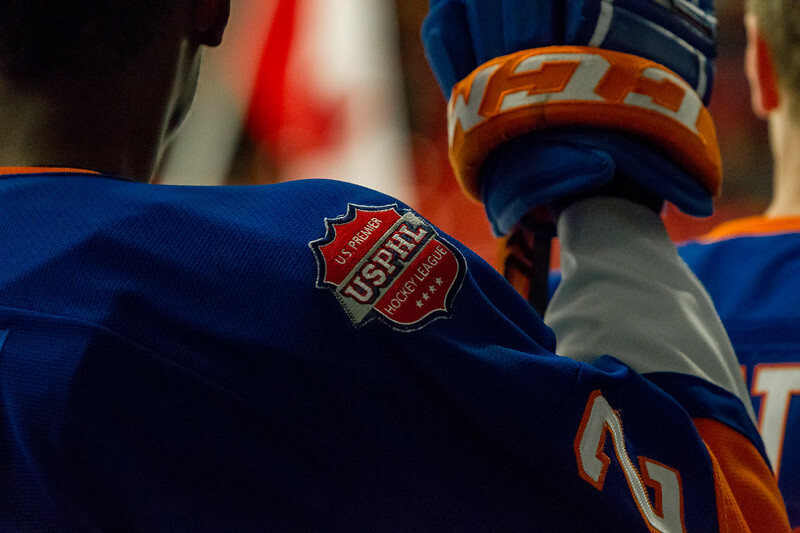 December 27, 2017 - Calgary, AB - 2017-2018 Mac's AAA Midget Hockey Tournament - Max Bell Centre Arenas. 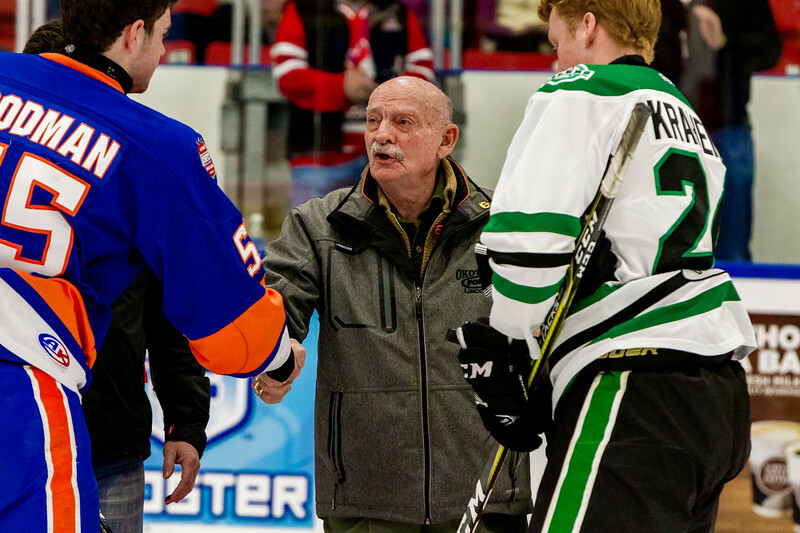 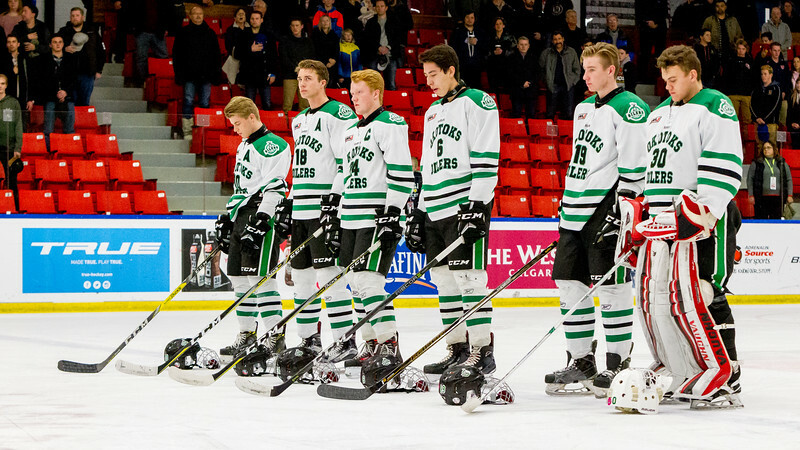 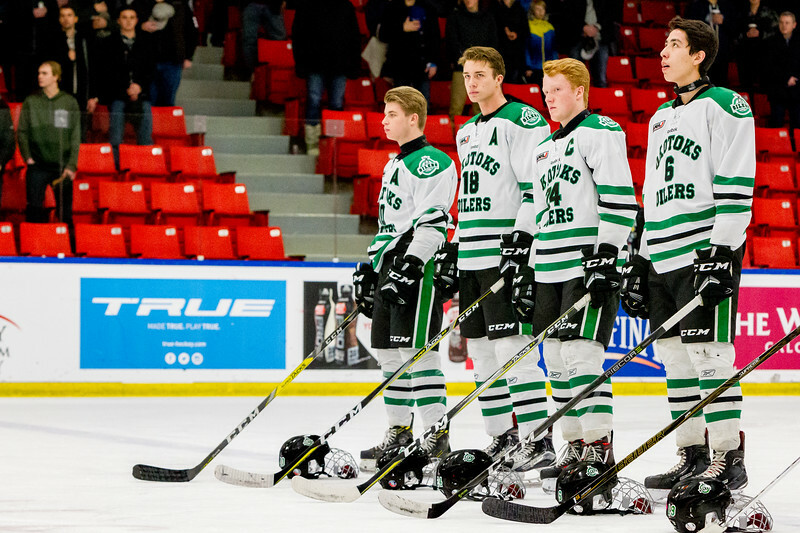 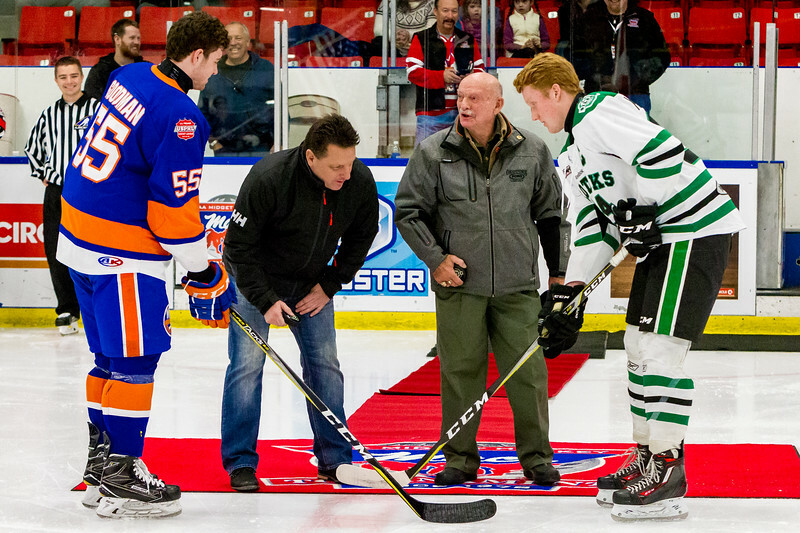 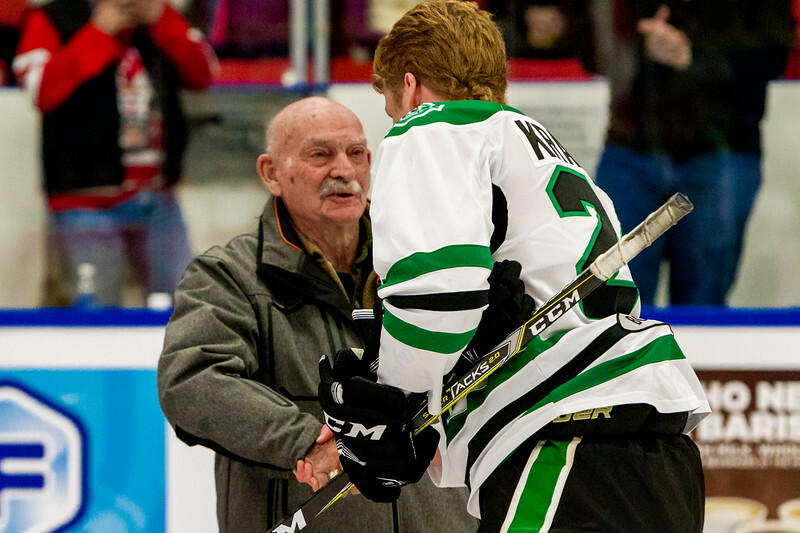 Jim 'Bearcat' Murray opens the game during the ceremonial faceoff between the Okotoks Oilers and the New York Jr. Islanders.